©Anne Mimault / Fondation Hirondelle Studio Kalangou listeners in Niamey, Niger. Studio Kalangou, Fondation Hirondelle's news program in Niger, launched on October 8 a new magazine called "Voices of Youth about Love". It's part of a series of productions to fight Child Mariage in the country. This program is produced in partnership with UNICEF. The series gives the floor to 50 girls and boys from all parts of Niger to express their dreams and hopes and their vision of marriage. It also aims to illustrate 10 possible remedies to prevent marriages involving children and inform about the actors who work on a daily basis in this cause. This series will include 10 magazines broadcasted in 5 languages, and 4 45 minutes "Forum" talk-shows in French, Hausa and Zerma. The testimonials, magazines and forums will be broadcast from Monday, October 8 to Friday, November 25 by the partner radio stations of Studio Kalangou. It will also be available on the website www.studiokalangou.org. 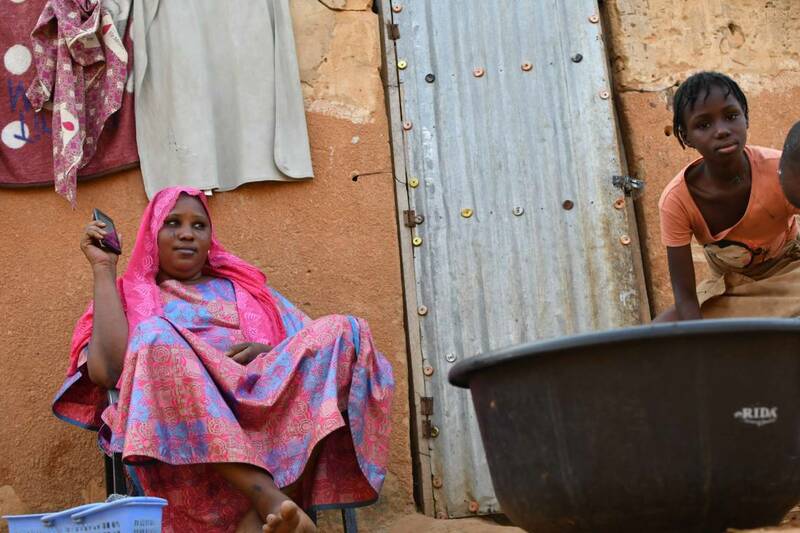 With one in four girls married before the age of 15 and three in four married girls under the age of 18, Niger is one of the countries where young girls are married the youngest. Two regions are particularly affected. The Maradi region, where the child marriage rate is 89%, and Zinder, where the rate is 87%. The State of Niger adheres to various international conventions that protect the rights of children, such as the 1990 International Convention on the Rights of the Child, and the Convention against the Elimination of All Forms of Discrimination against Women. (CEDAW), which tend to limit unions contracted before the age of 18 years. In 2017, the President of the Republic of Niger Issoufou Mahamadou pronounced on this subject, declaring that child marriage would no longer be tolerated.